A show 10 years in the making. An event 150 years in the making. 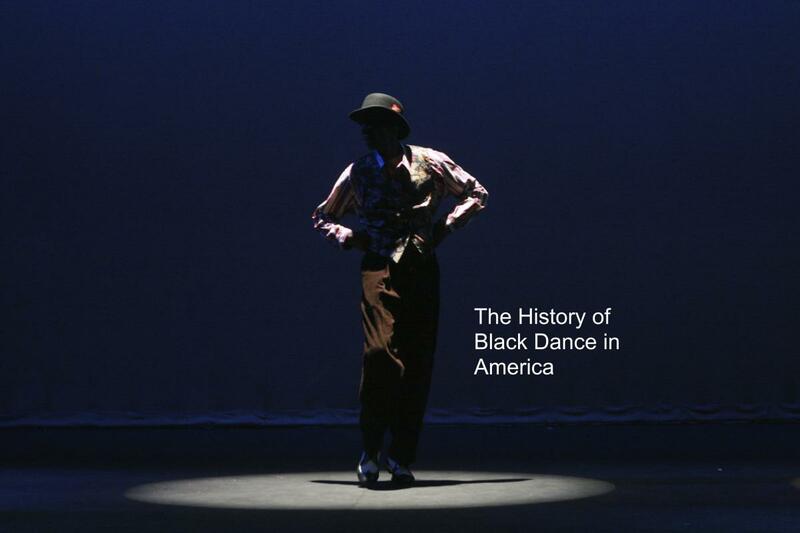 What is “The History of Black Dance in America”? 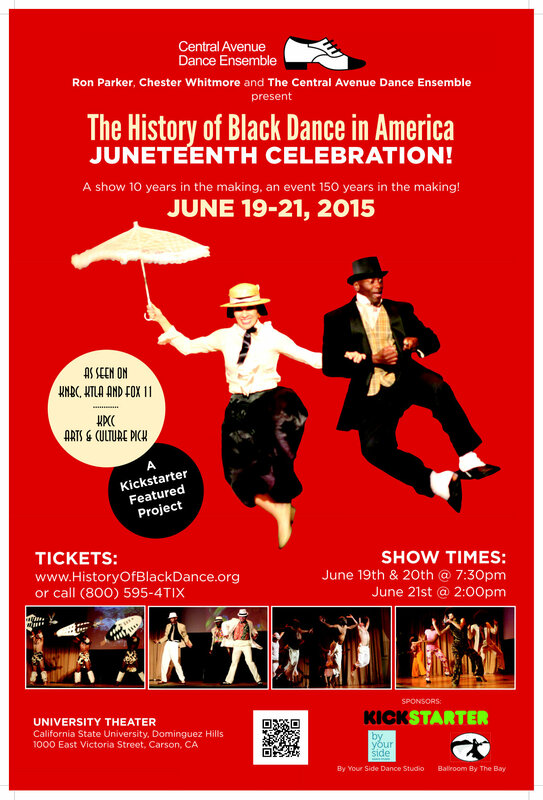 HBDA is a multi-media dance concert that showcases the contributions of African-Americans to popular American social dance from slavery to the modern era. It has been presented every year since 2011, and in 2015 was funded by a successful Kickstarter campaign. Audiences are mesmerized by authentic renditions of dances such as Zulu, Work Songs, Cakewalk, Spiritual Dances, Shim Sham, Lindy Hop, Foxtrot, the African inspired Latin-American dances, and more. It is a family-friendly show that hopes to entertain as well as teach some little known history that every American should know. 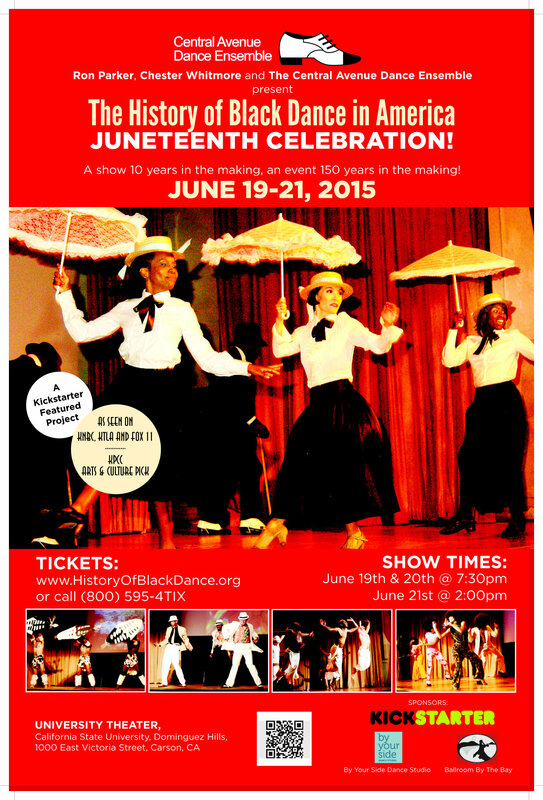 The 2015 performance also observes the 150th Anniversary of Juneteenth, the oldest known celebration commemorating the ending of slavery in the United States. Read about our Kickstarter campaign!